This is our most basic Kit for photographing small jewellery items on a tight budget. 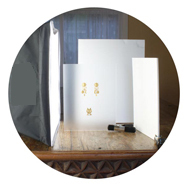 The Starter Kit for Jewellery Photography is designed to get you started and can be added to later if you wish. 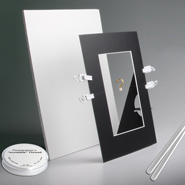 This Kit contains everything you need to achieve great product images of your small jewellery. Just add a camera and tripod. This Kit includes our SimplyFoto Lite 40 with Soft Reflector with a 30W 5000K TrumpetTop Bulb and our exclusive Freeze Frame Set. 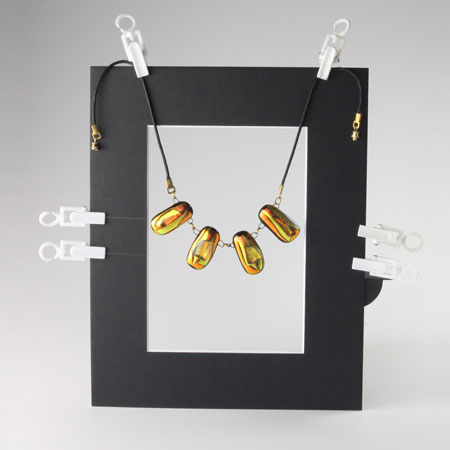 Our unique Freeze Frame Set has been designed specifically for photographing jewellery so you can make the jewellery seem to be suspended in mid air with a clean, white, uncluttered background. 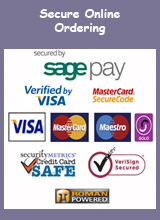 It is easy to use and suitable for beginner and professional alike. Instructions and Technical Support are included. 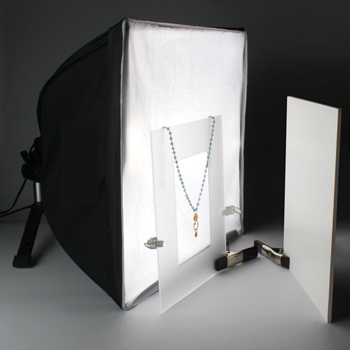 Our recommended set up is to use the SimplyFoto Lite 40 on one side of the jewellery and the White Foam Reflector (included) on the other. 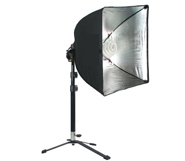 The SimplyFoto Lite 40 provides the key light and the White Foam Reflector serves as the fill light. 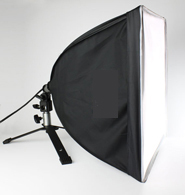 This set up enables you to make the most the the lighting without the expense of having two lights. Helpful Tip: Professional Photographers often photograph one earring and then use Photoshop to create a duplicate for a matching pair. You can see this in our examples below. All our Kits include camera set up instructions and our unique and unrivalled Technical Support service to ensure that you achieve the images you desire. Most people find the Kits really easy to use and get great results straight away, but we are always here if you need us! 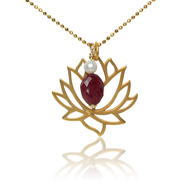 Even professional photographers find it a challenge to display earrings or pendants in a way that will look great in a product image for a website. 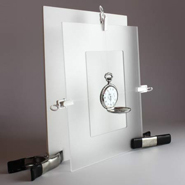 TableTop Studio have developed a unique system for suspending earrings and other small items using two fine filament lines for support within an acrylic frame we call the "Freeze Frame". The first line of invisible thread supports the subject nicely. But the second line is the key to anchoring the subject in place so it does not swing for hours while you wait patiently by for it to stop moving. Choose the placement of these lines carefully so you have less Photoshop work later. The benefits of using the Freeze Frame are many. 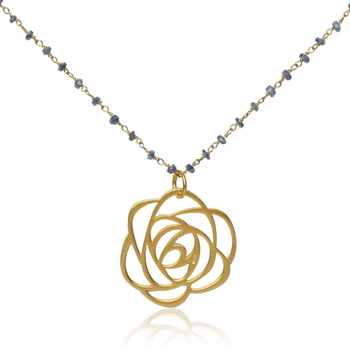 For example,one key benefit is that it provides a way to completely separate the subject from the background which means any background can be placed behind the Freeze Frame, lighted independently of the jewellery, and your resulting image will be shadow free. 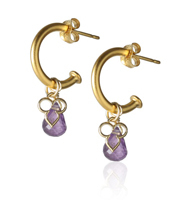 Here's an example of how to photograph a pair of earrings. Run the first line of invisible thread from side to side & clip in place. Hang the earring from it. 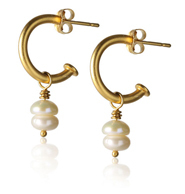 Then run the second line through the lower portion of the earring and pull slightly downward to freeze the earring in place. 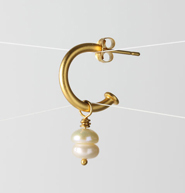 Once the second line is secured you can adjust the earring and tension will hold it in place. Now you can move the freeze frame, instead of the earring, to find a pleasing angle of view of the earring frozen in place. Now position the Freeze Frame 10" x 12" white background behind your earring and take a look through the camera. Sometimes your shiny jewellery will reflect darkness from items in the room. You can use the white fill card as shown in this setup to "fill" the darker areas with reflected light. The fill card should always face the light source it is reflecting, to be effective. 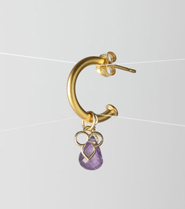 Move the card around to find the right spot if your jewellery needs a little extra light in one spot.